Spring is just around the corner, and it’s about time to start preparing our gardens for spring. Nature will soon start to recover after the dormant months, and if we want to enjoy the blooming beauty of our gardens, we should surprise them with a sweet wake-up kiss. Those who haven’t underestimated the winter preparations of their gardens will have it a bit easier. Nevertheless, there are some important steps that you should follow if you want your garden to regain its pre-winter magic and health. It’s very important to start preparing your lawn soon enough to prevent a hardy weed population and also to ensure that it won’t be too demanding to keep your lawn in perfect condition later. First of all, it might be useful to take advantage of early lawn care supplies discounts. 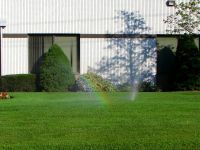 Quality lawn seeds and lawn fertilizer are the key to success. At first, use lawn fertilizer with slightly lower nitrogen content, which encourages root growth, instead of high nitrogen products, which make your grass grow faster and taller. It’s recommended to use a slow-release formula with a bit more phosphorus, which also strengthens good root development. 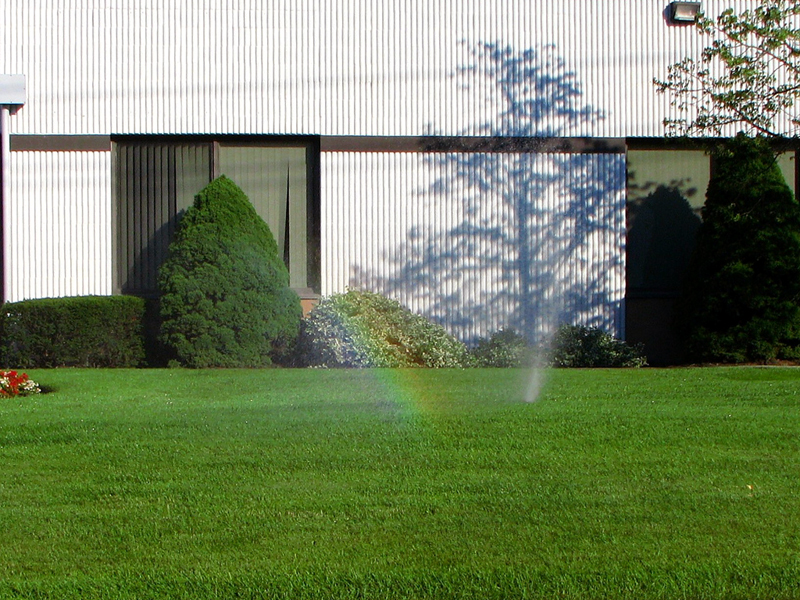 Moreover, time-release fertilizer will secure that your grass receives the necessary nutrients every time it rains. Another important part of the spring lawn preparation process is the removal of any dead limbs, leftover leaf piles, or anything else that might restrain the growth of your grass. If you’re raking your lawn, be sure that it’s dry enough and that the dormant grass is still quite brown. Otherwise, it’ll be too late and raking will do more harm than good. It’s very important that your grass and shrubs can breathe and receive sunlight. If you have late snow in your garden, make sure that there aren’t places in your yard that are still under a bunch of snow even though the rest has melted. Aside from causing harm and preventing your grass from growing, the excessive moisture could also lead to mould or other problems. 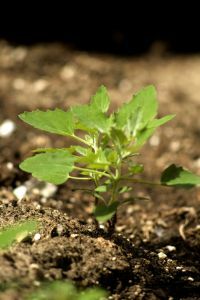 One of the most common and crucial activities people do in early spring is taking care of weeds. Even if they aren’t visible, you can be sure that they’re in your lawn. Therefore, it’s necessary to act as soon as possible and apply pre-emergent organic or synthetic herbicides before the weeds become visible. If you apply the herbicides too late, it’ll prevent your grass seeds from germinating. The best time for applying pre-emergent herbicides is about six weeks before you sow your grass seed. In addition, it might be a good idea to dress the lawn with peat moss. This is very effective and will save you the huge amount of time that you’ll have to spend on aerating, de-thatching, and weeding. The last suggestion is to get all of your equipment ready so that you won’t have to cope with any unpleasant surprises. There are several things that have to be done before putting your plants into the ground. It’s the best time to start tilling the soil and preparing it for hungry roots. It’s important to do this thoroughly so that the roots will be able to reach the nutrients and moisture. Tilling down at least four inches under the first layer of topsoil should be enough. It’s recommended to soften the soil by pre-watering the day before. If you have raised beds, the soil level could be a few inches lower than it was last fall. Therefore, you should check it by taking a handful of soil and making sure that it’s light, moist, and crumbly. If the soil appears to be too compacted, you might need to add some peat. 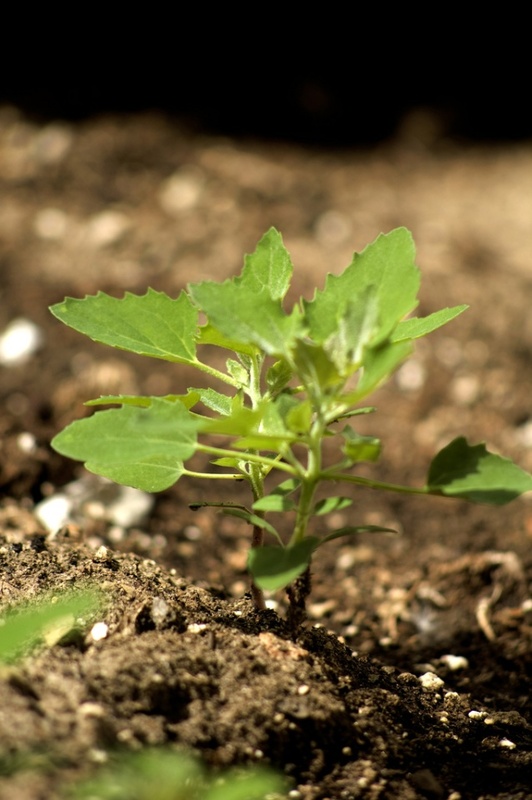 Those who prefer the no-till method of gardening can apply amendments such as lime, peat, rock phosphate, or compost by top-dressing. 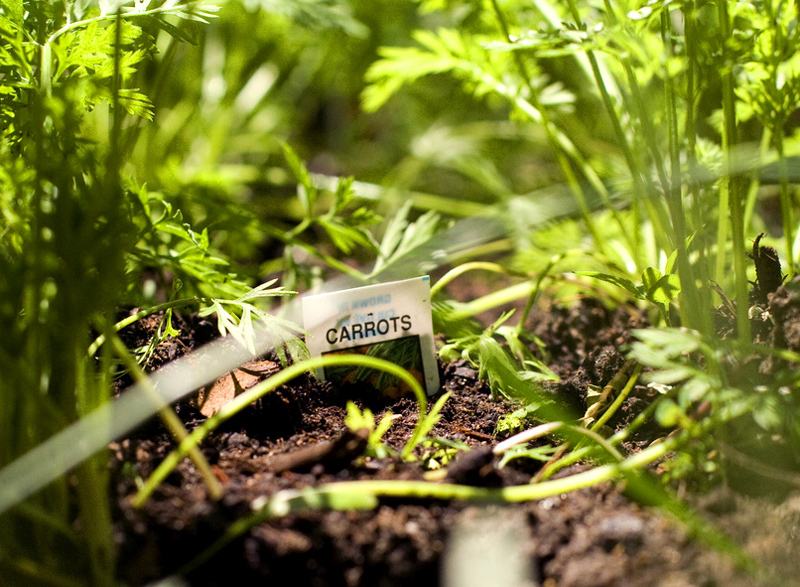 Spread these onto the soil and cover it with a thin layer of mulch. You can add more mulch to top the beds when the plants come up. As already mentioned, the soil needs to be fed after the dormant period. If you plant only flowers, you probably won’t need to add any fertilizers, but if you’re planting vegetables, this is a must. Afterwards, you should add some compost — preferably from your homemade compost pile. A one- or two-inch blanket of compost on your soil will provide the necessary nutrients for your plants, seal in moisture, and protect the soil surface from sun and pounding raindrops. The first and most important thing you have to do before you start planting is to decide what you’re going to plant. For example, in the vegetable garden, climbing peas, tomatoes, and beans tend to have more produce and therefore need more space than their bush equivalents. In such cases, it’s recommended to set stakes or poles to support these plants and direct their growth vertically. Do not underestimate plant spacing. Otherwise you risk that their roots will eventually choke one another and your plants will die. 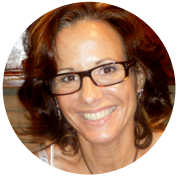 Pay huge attention to weather conditions, as temperatures can fluctuate in the spring. It might be useful if you wait 48 hours after any rain and then plant your seeds. Seeds need moist soil, but not wet, since too much water will prevent germination and your seeds will suffocate and rot. When a spadeful of soil resembles crumbly chocolate cake more than either an ice cube or mud pie, it’s likely prepared for spring planting. Putting the seeds into the ground too early means exposing them to the danger of frost. If you want to evade this danger, wait for early bulbs, such as crocuses, to bloom and then wait another two weeks after that. When the seeds are in the ground, make sure that they’re covered by a layer of topsoil about an inch thick that will provide them insulation and protection. Don’t forget to place markers to remember what’s planted where. Those who have existing perennial beds should clear them of old plant debris and add mulch to prevent weed growth. The best time to divide perennials is when emerging shoots are only two to four inches tall. Cut last year’s stalks of early perennials like asparagus at ground level and put them into compost. To prepare new beds for perennial flowers, spread a six-inch-deep layer of organic matter such as compost or peat moss and work it deeply. Soil rich in nutrients is something that all gardeners want, as plants planted deeply in it are less likely to suffer from summer drought. Finally, don’t forget to check your trees for any winter damage and prune them. Pruned branches should be sealed to protect them from invasive pests. 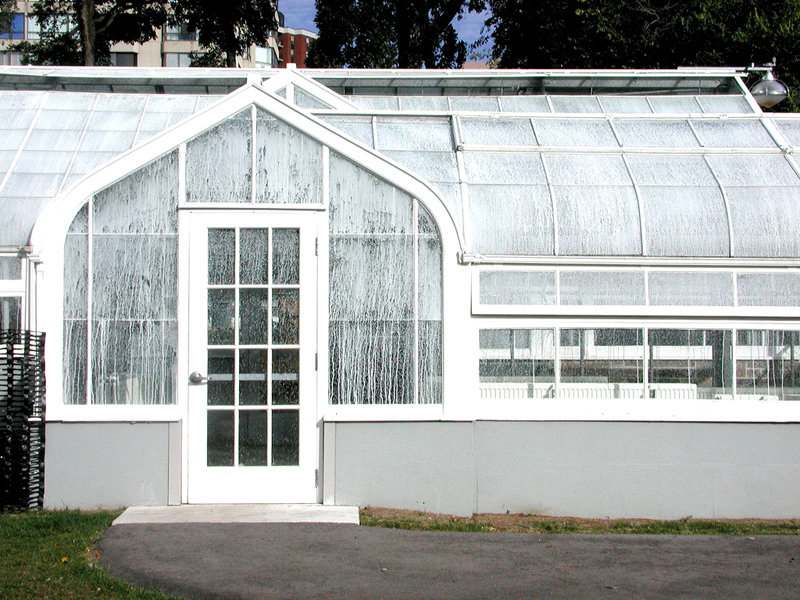 With cold weather outside and few gardening tasks to be done, early spring is the ideal time to prepare your greenhouse. The first step is to clear out the greenhouse, providing plenty of space for new plants. Evict all the things that shouldn’t be there, remove any dead leftover plants, and make sure that the panes of glass on your greenhouse are clean so that the spring sunlight can reach your plants. Ensure that your greenhouse is sufficiently vented, as good air circulation protects your plants from fungal diseases. It’s recommended to install two slated vents low down on either side and two roof vents at the top. If you’re willing to invest more, purchase an automatic vent-opener, which is particularly useful on hot days. Automatic vent-opener will ensure that the hot air can escape and your plants won’t shrivel. Another important feature that provides protection from unbearable summer heat is a shade netting or indoor blinds. Many greenhouse gardeners do not heat their greenhouses and wait for the sun to give warmth and create suitable conditions for their plants. However, a source of heat in your greenhouse can prolong your growing season and increase the range of plants you grow. Since plants in greenhouses require much more water than outdoor plants, be sure that there’s always a source of water at hand. Don’t use chilly water from outside, as it can shock the plants. Patios and outdoor spaces are important parts of our gardens that also require proper maintenance — especially after winter. 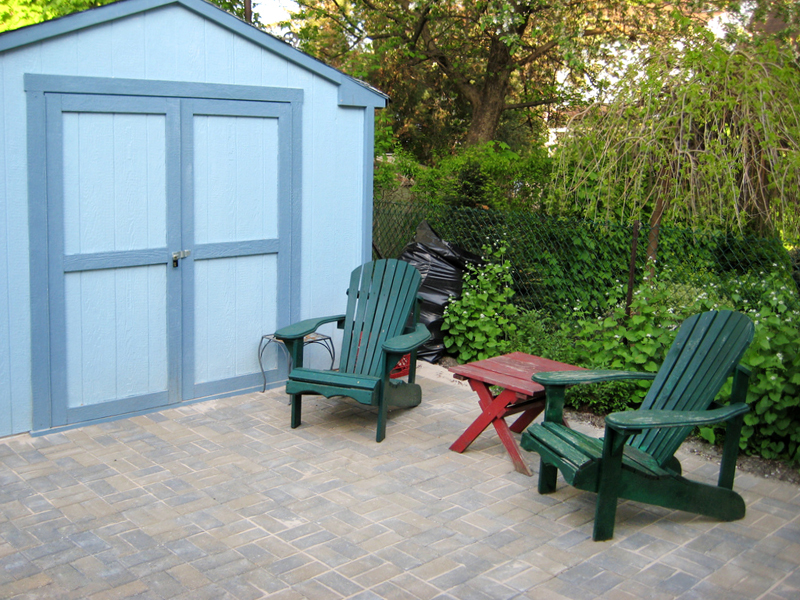 The patio surface needs to be thoroughly washed to get rid of all winter stains and filth. Even though you stored your patio furniture cushions, they needs to be scrubbed, preferably with an environmentally friendly cleaner. Make a careful inspection of all your landscaping lights for any needed repairs. Don’t forget to check and clean your grill so that your barbecue fare will be at least as tasty as last summer.